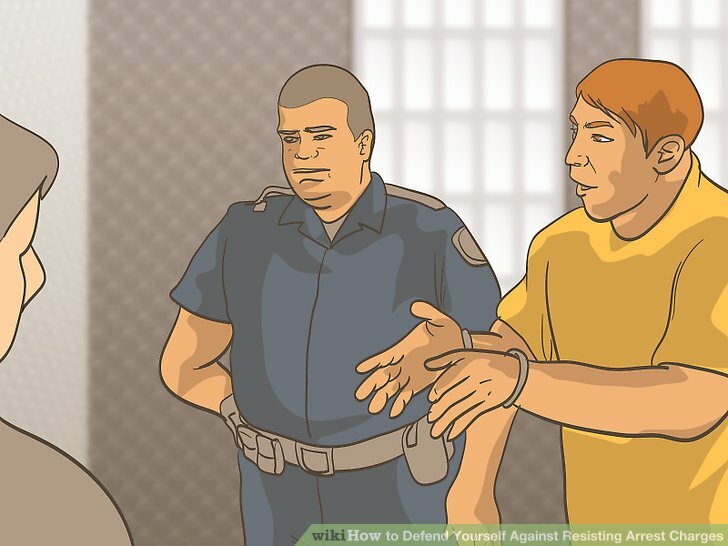 Resisting arrest, also called obstruction, happens when you try to interfere with a police officer’s attempt to arrest someone. You can also be charged with obstructing the work of an emergency medical technician, although that probably happens less frequently. 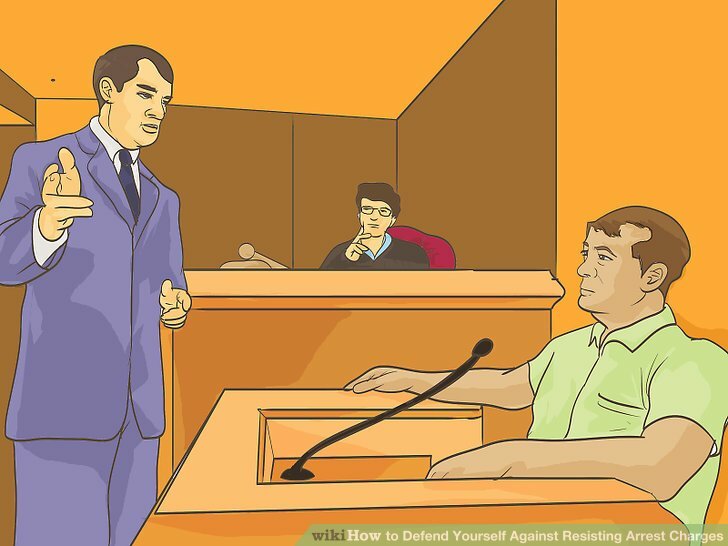 In order to defend yourself, you should gather helpful evidence and then identify possible defenses. If you are facing jail time, you should have a lawyer. If you can’t afford a lawyer, you may qualify for a public defender. You should get a copy of your police report as soon as possible. This report will contain important information, such as the officer’s version of events. Get your copy and read it closely. You can typically get a copy of the police report by contacting the police department. 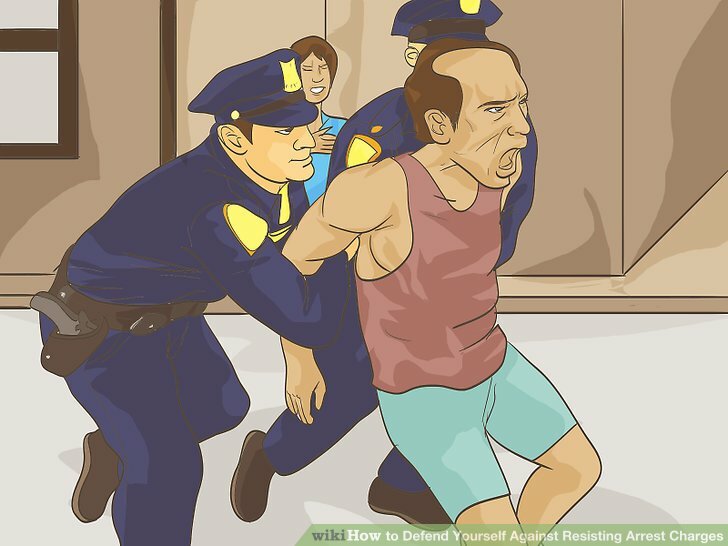 Identify how you resisted arrest. Check if there were witnesses. The police report should also identify any witnesses to the encounter. 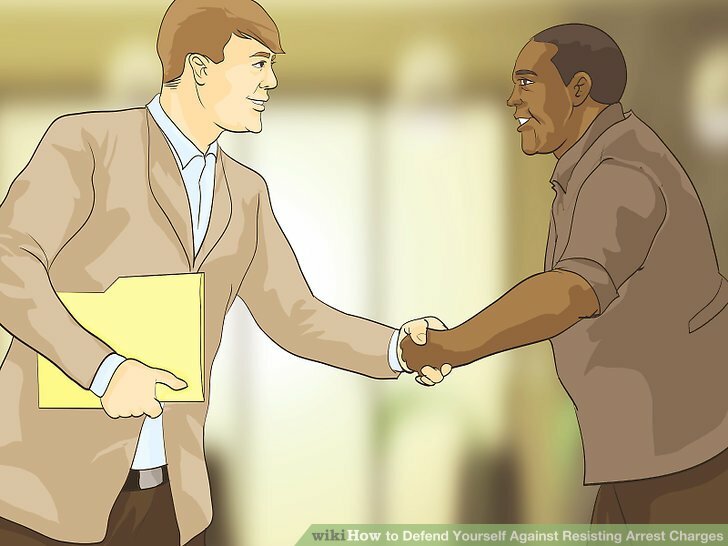 Witnesses who saw you acting peacefully could help your case. Go through the police report and highlight the names of witnesses. Of course, if the officer attacked you, then they might not have included the names of any witnesses. If you were arrested in the presence of friends or family, you should ask them what they saw. Write down your own memories. You are an important witness to the encounter. 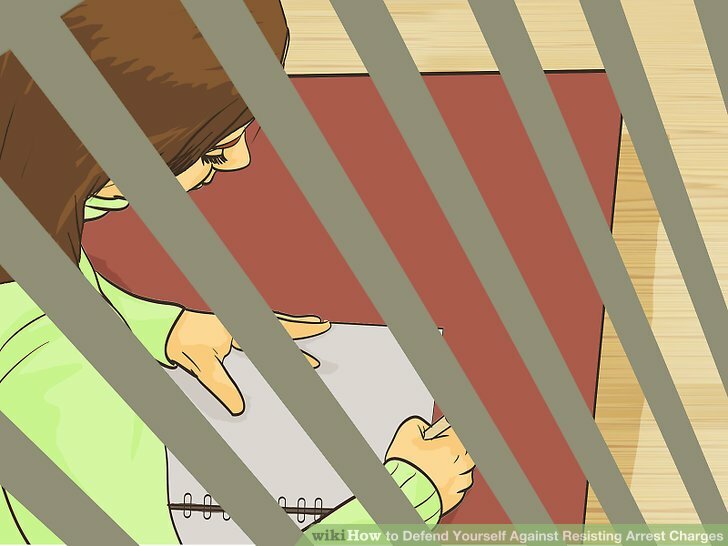 Accordingly, you should sit down as soon as you can gather your thoughts and write out what happened. Try to be as detailed as possible. In many states, police officers wear body cameras or have cameras attached to the dashboards of their police cruisers. You should try to get that evidence, since it may show that you were not interfering at all with the police officer. You should act fast. 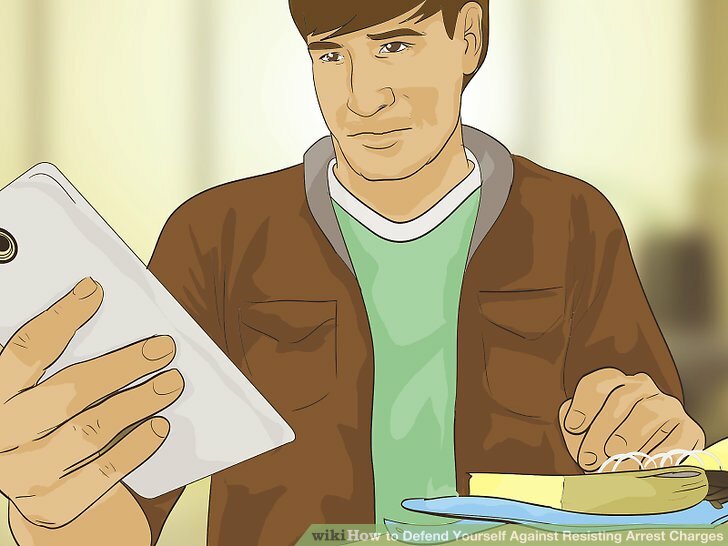 Often, you will need to file a motion with the court to preserve the evidence. Digital recording devices sometimes are recorded on a loop, meaning that every 30 or 60 days the recording is erased. If you need help filing a motion to preserve this evidence, you should meet with an attorney. Argue the officer didn’t provide their own identification. You could argue you didn’t resist arrest because you didn’t know you were dealing with a police officer. For example, you could argue that the officer never showed you their badge. If you saw the officer pull up in a police cruiser or if they were wearing a uniform, then you probably can’t claim you didn’t know you were dealing with the police. However, you have a much stronger argument if the officer is someone in plain clothes who walks up to you on the sidewalk. Justify your actions as self-defense. 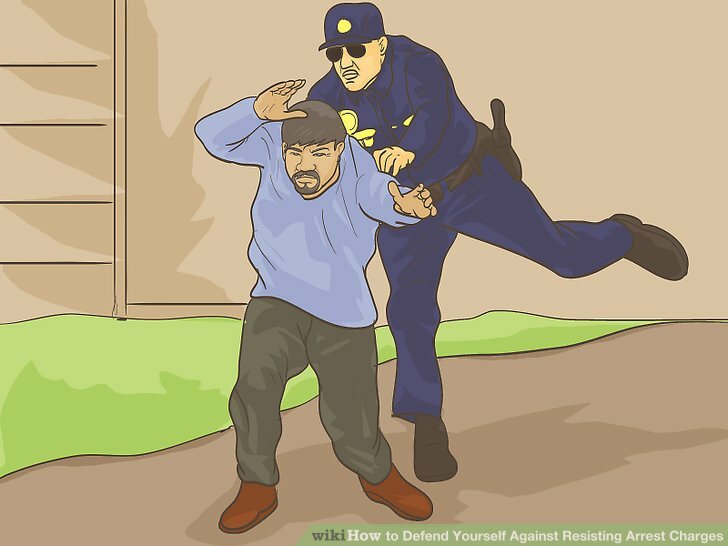 You don’t lose the right to defend yourself against excessive force simply because the person using excessive force is a police officer. 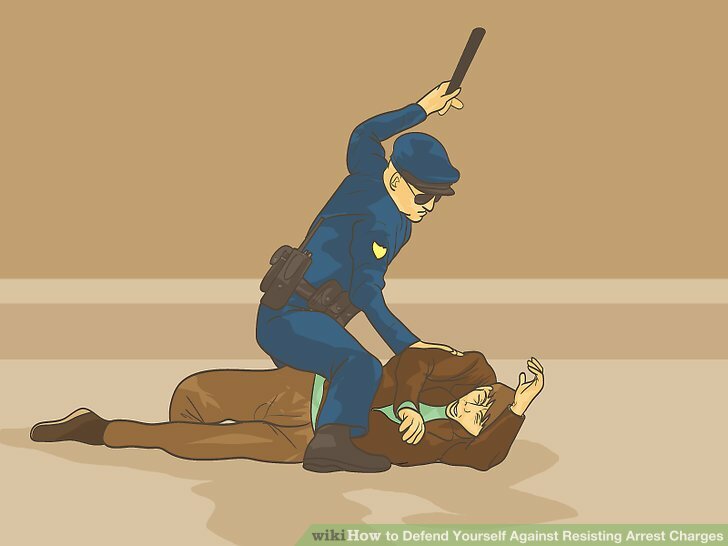 However, in order to be able to defend yourself, the officer must have been the person to use physical force first. 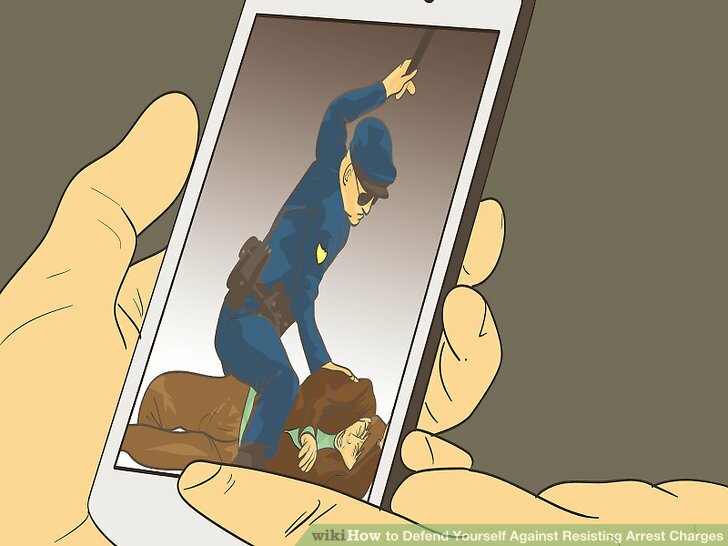 The force you use to resist arrest should not be more than the force the officer used. 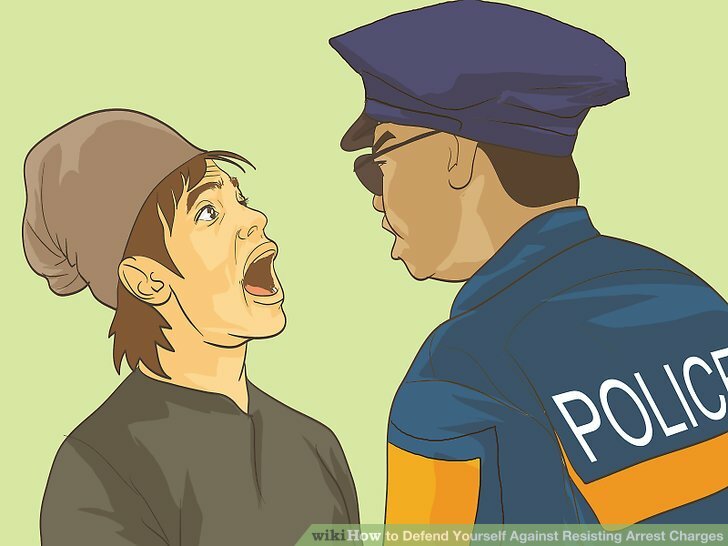 For example, if the officer starting punching you, you could punch back in return. However, if the officer only punched you, you can’t pull out a gun and shoot the officer. This will be a tough defense to prove. However, it helps if you have witnesses who saw you acting peacefully up until the point the police officer started physically attacking you. Claim the arrest was unlawful. The officer searches your home without a valid search warrant. The officer stops you without reasonable suspicion. An officer arrests you without an arrest warrant or probable cause. The officer arrests you for something that isn’t a crime. Argue there isn’t evidence you resisted arrest. Sometimes, police officers might lie and claim you resisted arrest when you didn’t. Remember that the prosecutor has the burden of showing that you resisted arrest. You can always argue that the prosecutor didn’t present enough evidence. Some conduct doesn’t rise to the level of resisting arrest. For example, you might only have sworn at the police officer. Without more, being sarcastic or rude is not resisting arrest. 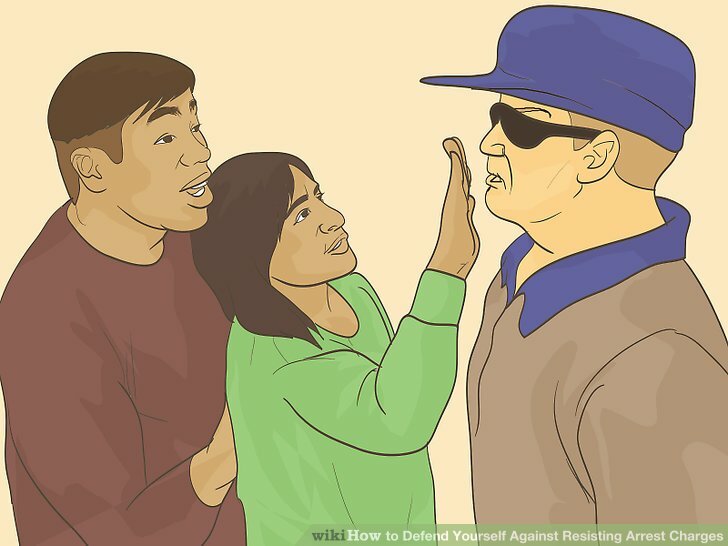 However, if you make verbal threats in an extended, loud argument, then you may be resisting arrest. 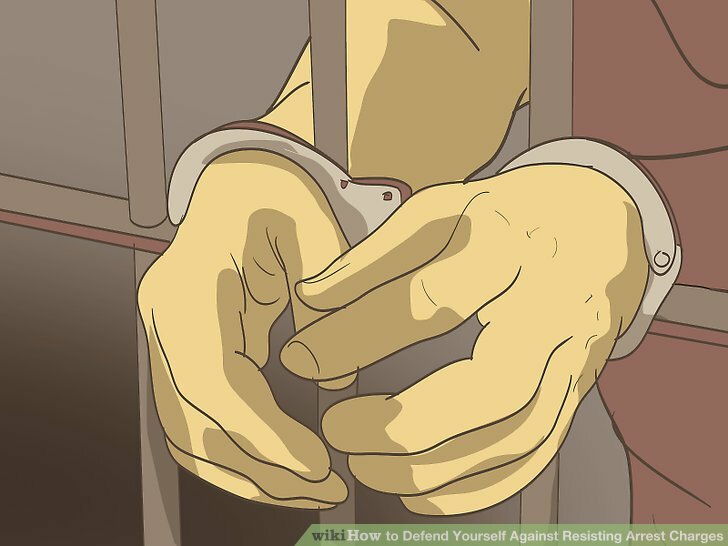 As soon as you are detained for resisting arrest, the police will begin the process of moving you through the legal system. The first thing that will happen is you will be taken to jail to be processed. During this time, you will have your fingerprints taken as well as your picture. Whether you are released or not, you will be told what you are being charged with and what the potential penalties are for that crime. Depending on the circumstances, resisting arrest can be charged as either a misdemeanor or a felony. You should receive a citation or a criminal complaint. Read it to find out what the prosecutor has charged you with. Get released or wait in jail. While your arrest is being processed, law enforcement will decide whether to release you or keep you in jail. 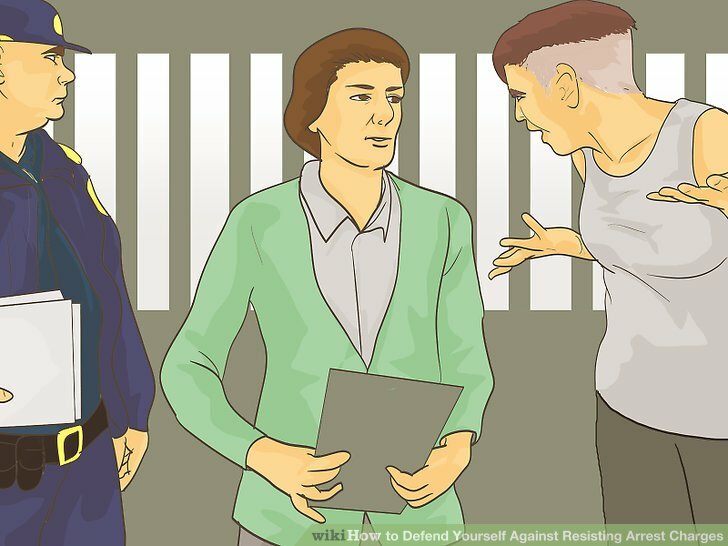 If you are kept in jail, you will have to stay there until your initial court hearing, which is usually an arraignment. Law enforcement will usually keep you in jail if you pose some risk to the community or risk of flight (i.e., that you will run away). However, in a lot of less severe cases, law enforcement will release you on your own recognizance, so long as you promise to show up to your initial court hearing. 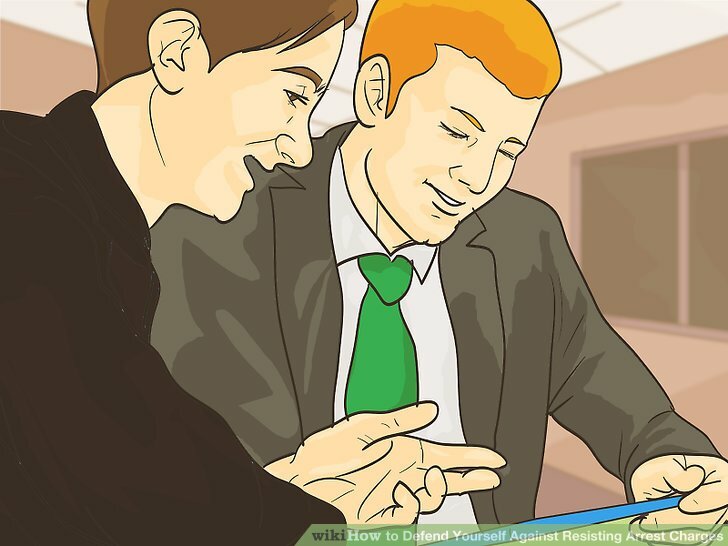 Assess your ability to get a lawyer. 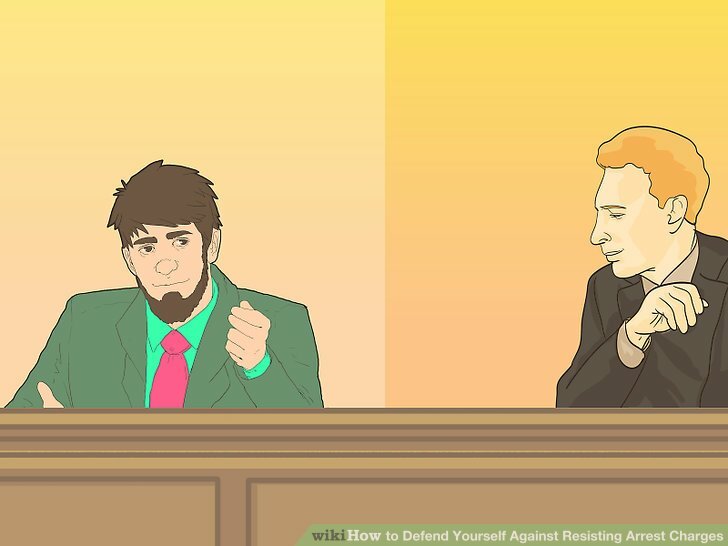 You should get legal advice before attempting to defend yourself in court. Depending on the severity of the charge, you might also want to hire a lawyer to represent you, especially if you can afford it. You can get a referral to a criminal defense attorney by visiting your state or local bar association. If you potentially face jail time, then you should qualify for a public defender if your income is low enough. If this applies to you, mention to the judge that you want a public defender during your initial hearing. You will have to fill out an application packet. Jail time. You could serve time in the county jail or in a state prison. Fines. The amount will differ by state but typically is over $1,000. Probation. You can avoid prison or jail if the judge gives you probation. On probation, you meet regularly with a probation officer and satisfy certain conditions, such as not committing any more crimes. Community service. Usually imposed with probation, community service is volunteer work for different charities or organizations. You must work a certain number of hours. Attend your initial court hearing. Not guilty. 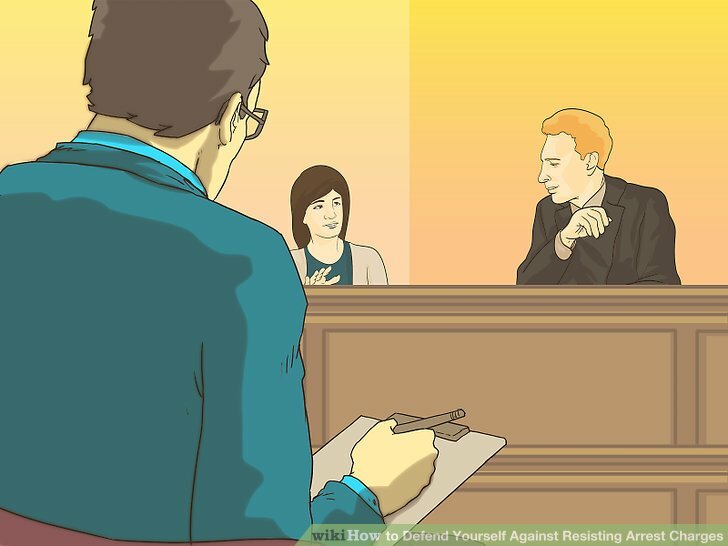 If you plead non guilty, the prosecutor will have to prove beyond a reasonable doubt that you resisted arrest. Guilty. If you take a guilty plea, then the case will move onward to sentencing. The prosecutor can recommend a sentence but generally it is up to the judge to decide what sentence to give you. Nolo contendere (“no contest”). You can submit this plea in some states. Essentially, you submit to the court’s punishment as if you had pleaded guilty, however, you don’t actually admit your guilt. Bail is usually money you pay to the court to help secure your release as you await your trial. The amount of bail you will have to pay will depend on all the charges against you, the prosecutor’s recommendation, and the judge’s feelings about the case. Bail is usually determined at your initial hearing, regardless of whether or not you remained in jail while awaiting the hearing. If bail is granted, you must abide by certain conditions, such as attending every court hearing and attending your trial. If you meet all of those conditions, then the bail money is often refunded to you at the end of the trial. If you don’t meet your conditions, then you lose the bail money. Depending on your situation, you may be able to pay bail at the police station. In some states, there is a set amount you must pay in bail money in order to secure release. However, you might have to ask the judge for bail at your initial appearance or arraignment. The judge will then analyze whether you are a flight risk and set a bail amount. See Post Bail for detailed information about the bail process. Attempt to make a plea deal. Although you might want to fight the charges, you should think about pleading guilty in exchange for something. For example, you might be able to get the prosecutor to reduce a felony charge to a misdemeanor in exchange for your guilty plea. Talk with your lawyer about the pros and cons of taking a plea. For example, if you can avoid a felony, then you won’t lose your voting rights or your ability to own a gun. 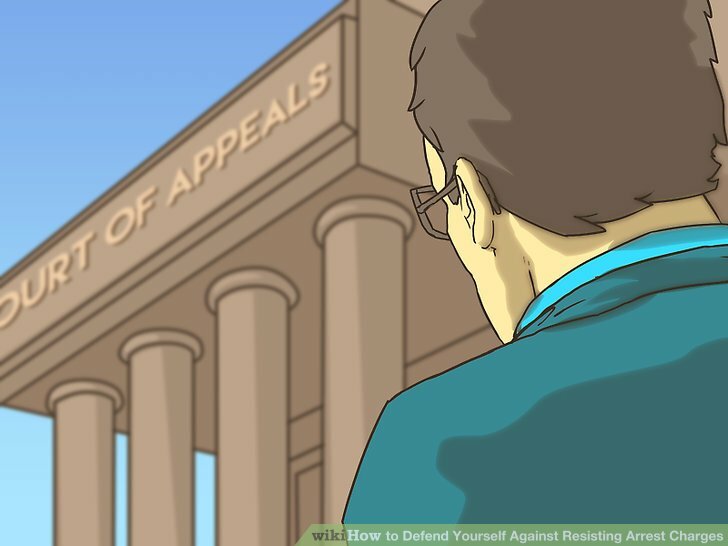 However, if you have a very strong defense, then you might not want to take a plea. 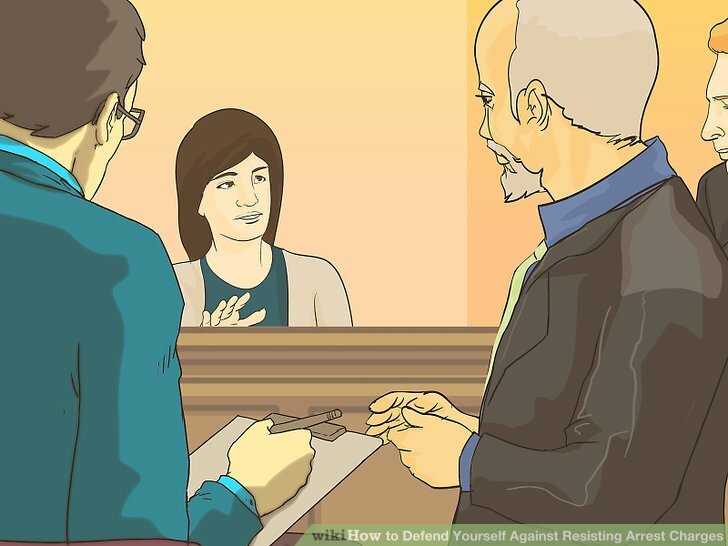 Get everything lined up as your court date approaches. If you want witnesses to testify, then you should tell them the date and time for the trial. You should also think about serving them with a subpoena, which is a court command to show up and testify. Your lawyer should be able to issue subpoenas. Otherwise, you can sometimes have the court clerk issue them. Also gather helpful documents or video ahead of time. Dress appropriately for your trial. You want to look professional. Unfortunately, both judges and jurors make assumptions about people based on their appearance. You should strive to look professional and neat. This means wearing freshly laundered clothes that fit. The prosecutor has the burden of proving you guilty beyond a reasonable doubt. Accordingly, they present evidence first. You can expect the police officer to testify as to what you allegedly did. Also other witnesses might testify. Your lawyer will have a chance to cross-examine each prosecution witness. The purpose is to poke holes in the witness’s story and to undermine their credibility. For example, the officer might say you punched him when the dashboard camera shows you were not resisting arrest. Always tell the truth. It is your best defense. Sit up straight and look at the person asking you questions. When you answer, turn to the jury and make eye contact. Speak slowly, loudly, and clearly. If you didn’t hear a question, then ask that it be repeated. Don’t fidget or look nervous. Always remain calm. 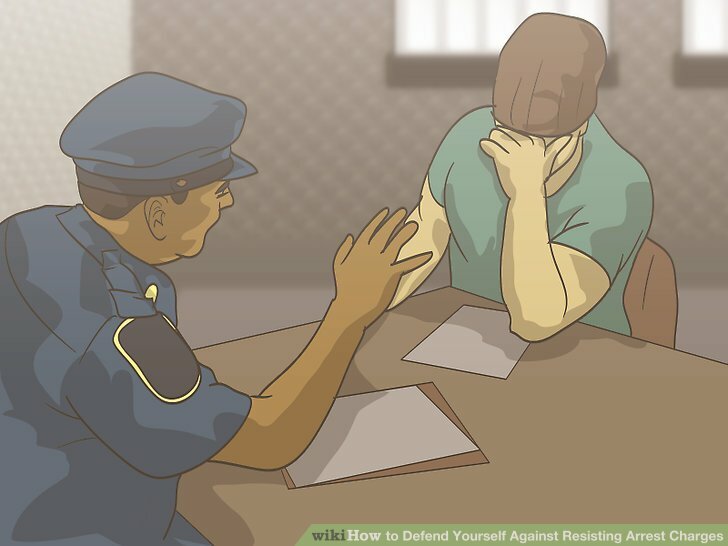 Remember that you are accused of resisting arrest and possibly punching or attacking a police officer. If you lose your cool, the jury might assume you are guilty. After all evidence has been presented, the judge will read the jury its instructions and allow them to retire to deliberate. To convict you, the jury must be unanimous in every state but Oregon or Louisiana (where 10-2 is enough for a conviction). If you chose a bench trial (no jury), then the judge should deliver the verdict after all evidence has been submitted. If you lose, you might want to bring an appeal. With an appeal, you ask a higher court to review the trial transcripts. If the trial judge made a serious error, then you might be able to get the verdict thrown out. 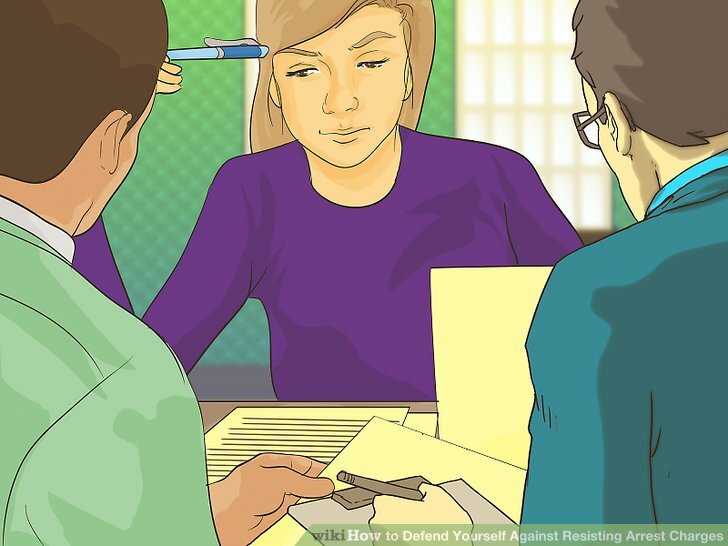 Talk with your attorney whether bringing an appeal is worthwhile.